The votes are in, the plates are clean, and this year's Young Chef of the Year competition has (almost) come to a close. The competition – run in association with Bookatable by Michelin, Champagne Pommery, Collins King Associates and Foodism – aimed to give a roster of young ambitious chefs hands-on experience running a whole kitchen for a night, and to encourage more young people into the hospitality industry. Each contestant served a one-off four-course menu, with judges from across the industry and the public – as well as M's founder Martin Williams and group executive chef Mike Reid – voting for their favourite. 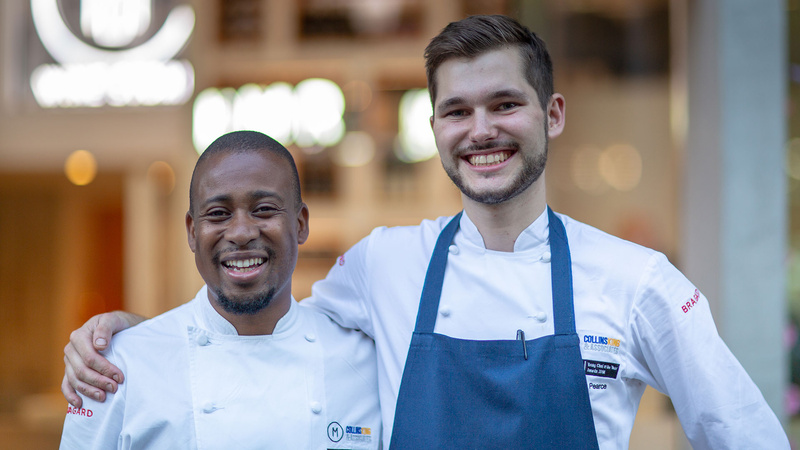 The top prize of Young Chef of the Year was claimed by Hamish Pearce, a chef at Hackney restaurant Pidgin; Jamie Gardner from Coal Shed won the Outstanding Menu award; and chef Adebayo Folarin won Best Marketeer. "Hamish gave us the whole package we were looking for," said Reid, "an inventive menu, executed superbly with a full house on his pop-up night. He certainly gave his dinners an experience they will remember." Pearce won a trip to Pommery, and both Pearce and Gardner won a hand-made knife from Blenheim Forge, to boot. 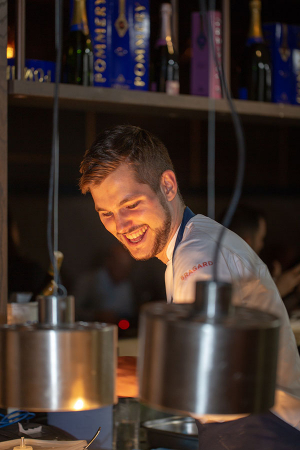 Most excitingly, each of the two will be given five days to run M Victoria's Raw Bar kitchen by themselves, giving them invaluable first-hand experience and giving you the chance to taste their winning menus. Pearce's menu – which includes endive with baba ganoush, liver, nettles and coal, and venison with fermented green gazpacho, new potato sauce, onion and chard – will be available at M Victoria from 14-18 August, while Jamie Gardner's will be served from 7-11 August.